Certification is to be completed within five years either at grooming competitions, regional centres or selected colleges / training centres. 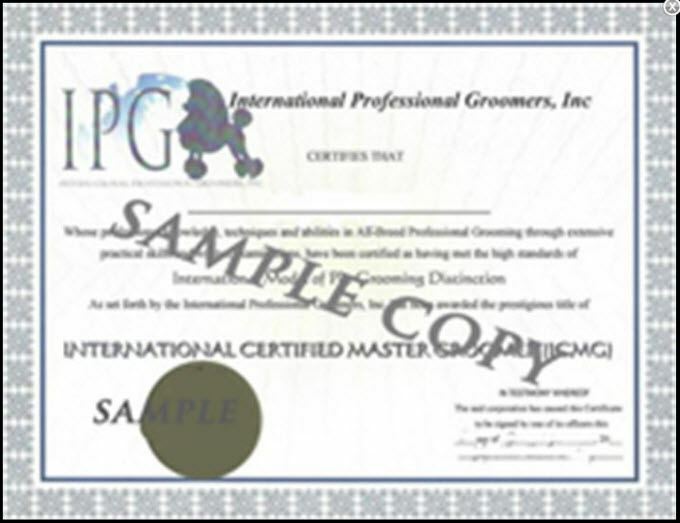 Certification may be taken in any order (Practical and Written). This does not apply to the Master’s Certification. Salon Details - Time allowed: dogs 42cm and under, one hour. Dogs 42cm and taller, two hours. Utility Breed – Time allowed: two hours. Dogs 42cm and taller, two hours 30 minutes. Gundogs – Time allowed: two hours. Dogs 42cm and taller, two hours 30 minutes. Terriers – Time allowed: two hours. Dogs 42cm and taller, two hours 30 minutes. Mixed Breed – Time allowed: two hours. Dogs 42cm and taller, two hours 30 minutes. Salon Details – Time allowed: one hour. Utility Breed – Time allowed: one hour. Gundogs – Time allowed: one hour. Terriers – Time allowed: one hour. Mixed Breed – Time allowed: one hour. For more information, please visit the BIGA Training Centres page.